Following three world record low solar bids received for the Sweihan solar project in Abu Dhabi, pv magazine caught up with Massi Vernaleone, leader of the Phelan Tenaga Consortium, to find out more about the record-breaking tender. On Monday some details as to the 350 MW ADWEA solar tender emerged. What was Phelan’s participation in the tender? Massi Vernaleone: Phelan Energy Group (PEG), which recently launched the largest solar farm in the Southern Hemisphere, Africa and the Middle East at 175MW, was the lead member of the Phelan Tenaga Consortium and we were one of the final seven shortlisted companies for the bidding phase. At the read out we were ranked third on the proposed tariff (weighted levelized electricity cost) with our proposal of 2.598 us cents per kwh. We believe that the track record of the Phelan Energy Group in realizing large solar projects puts the company in a strong position. We have been at the forefront of solar innovation since the company’s inception ten years ago and have already successfully delivered large scale solar plants in the very similar desert conditions of De Aar, Northern Cape, South Africa. We therefore feel ready to now seize more opportunities worldwide. How satisfied is your team that Phelan/Tenaga were able to come in third place, in terms of the LCOE that could be achieved by the project? Considering it was our first participation in a large international bid of the highest level, we are quite proud of this bronze medal. Our vision is to be the world’s lowest-cost producer of solar energy. This result shows us that we are on track. This will enable us to build credible international development partnerships and will have shown that we are capable of competing with the best in the world. What is your reaction to some of the very low reported bid achieved by Jinko? There is no doubt that as a module manufacturer Jinko may have had a substantial competitive advantage on the pricing of their proposal. At the same time, we have beaten First Solar and Hanwha Q Cells on the WLEC, which shows that PEG efforts are going in the right direction. The original tender is for 350 MW and the challenge to bidders was to maximize the power output from the site. Our competitors put forward solutions with 20%+ more power than our solution, and that proved decisive in the announcement of the initial places. We had long debates on the maximization of the site, in the interests of shareholders, including ADEWA and funders. However, we decided on the lower volume, which clearly impacted the price. As a shareholder in the project, which is something that we retain with all our projects, we look for long term asset viability and consistency. We could have increased the power by reducing road areas and widths and overall site coverage. We believe it is vital to have proper access to all parts of the farm, for efficient maintenance and access, as this is an investment for 25+ years. This is a property type asset and inadequate site access will impact its future value. What do you think are the key factors by which the very low LCOE can be achieved? The key items that drive the LCOE levels are usually the EPC costs, the financing conditions and irradiation. In this particular Abu Dhabi case, module prices and highly competitive financing terms have played a crucial role. In the first case, the volume of the project has attracted the world leaders in the sector, all eager to win such a large order. The most competitive international banks competed to provide the best financing terms in the industry, with a limit to the number of consortium they could support that made the process even more selective, with only the big players left in the last phase of the bid. Structures and inverters have also had a good impact on the BOS, which reached levels never before seen on these markets. PV components’ trend of lowering prices is increasingly allowing PV to be a more competitive source of energy. While this might translate into lower margins and a market consolidation, manufacturers will benefit from dramatically higher volumes, with the solar industry expected to attract by 2040 investments of more than $3.5 trillion compared to $3.2 trillion that will invested in fossil fuels and nuclear together (according to a study by Bloomberg New Energy Finance). The project is to supply a new residential area outside of Abu Dhabi. What is your understanding to how PV can compete on LCOE in supplying this site compared with other sources of electricity? Abu Dhabi, and the UAE in general, is a fantastic location for solar, thanks not only to the natural advantage given by an attractive solar irradiation of more than 2,240 kWh/sqm, but also for the quality of tender that was put in place. I want to congratulate ADWEC/ADWEA, whose professionals have done a fantastic job putting together a world class tender, which only allowed the very best players to compete. Such strict requirements, transparent process, innovative maximized production element and focus on pure competitive mechanism of the Sweihan PV tender, has made it a new benchmark for the industry and for the region, which will now certainly benefit from lower solar prices in the race with gas and oil tariffs, to respond to the increasing energy demand. 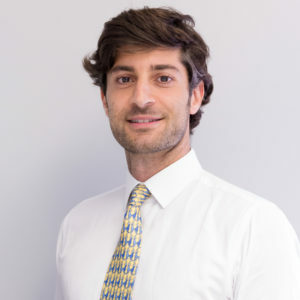 Massimiliano Vernaleone was the lead on the Phelan Tenaga Consortium that submitted one of the leading bids in the largest Abu Dhabi solar tender.